"kors k calls me his fan girl"
Just confirmed on the BEMANI live stream. 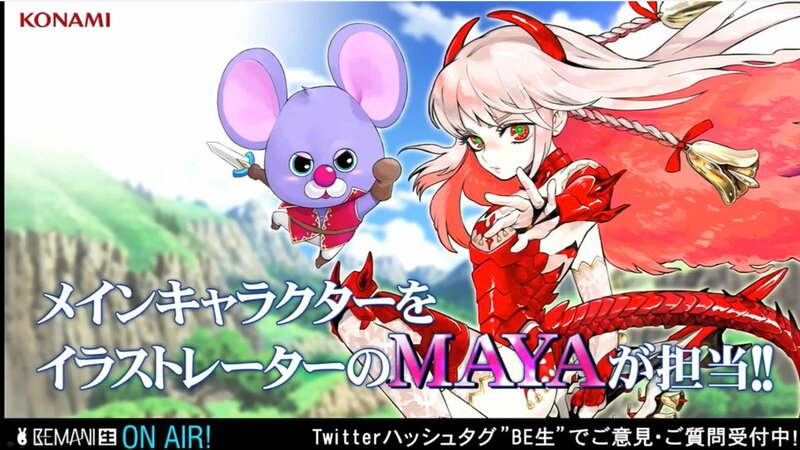 Main illustrator appears to be MAYA. I'm autistic (Asperger Syndrome, I know people are gonna make fun of it but oh well) so please try to be nice to me. My status is real and it's iconic. Art in my avi is by me, edit is by hypnoticmarten77, thank you! OMG!!! 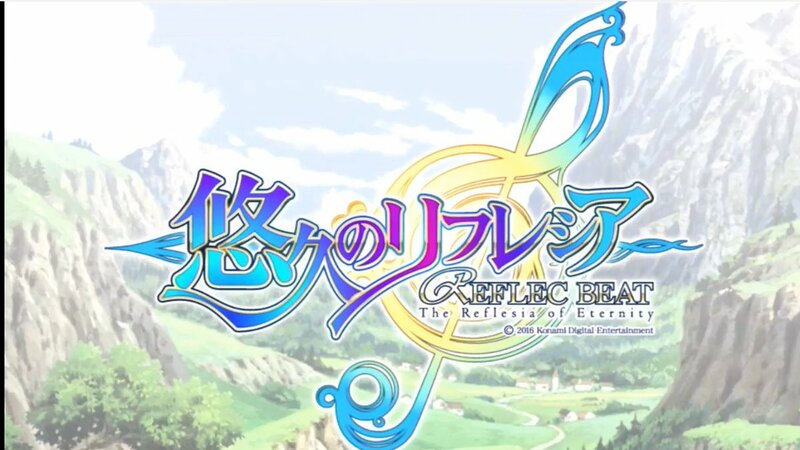 This new Reflec Beat game is just too exciting for words! Can't wait to find out when location tests are and what the songs will be! I like the new, fresh theme too! Lol game locations tend to be Silkhat Kawasaki for some reason. "I have no words for my life"
This is going to be exciting. I'm ready for new godlike originals. Here's hoping this mix gets more love than Volzza did. I was following it as it got updates and there were at least 3 months where it got 4 or less new songs. As great as the artwork is, I'm skeptical about this, especially with the way VOLLZA 1 and 2 were handled. I must mention that even though they tried to give a badass edge to Pastel-kun in that illustration, he somehow managed to look cuter. It takes away the vibe that they were looking for, you know? Somebody compared the theme/art to a Tales game, which has a tendency to have very pretty anime adventurers and then some cute animal creature thrown into the mix. Haa, it does seem that way. It's hard to explain, but I like the art. Pastel-kun's trying super hard to look like a hero, and he may have all the potential to be one, but he's still a cute little guy. Like... 4Kids Kirby or something but done better. Dangerous, but undeniably cuddly. But~ it's~ a rhythm game~ so~ the characters~ don't~ matter~ is something said rather often. I'm not digging the new style, to be honest with you. I really like the bold simplicity of the VOLZZA and groovin' themes and this is a little too QMA for my tastes. At least this might mean Gekidan might do the OST, eh? Interesting how this game's title comes with a rather...elegant subtitle. Now I'm waiting to see what the UI might look like. I wonder if any DJ Totoriott songs are getting a badass sequel...? This theme is literally the greatest thing ever created by the human race. I agree with this. 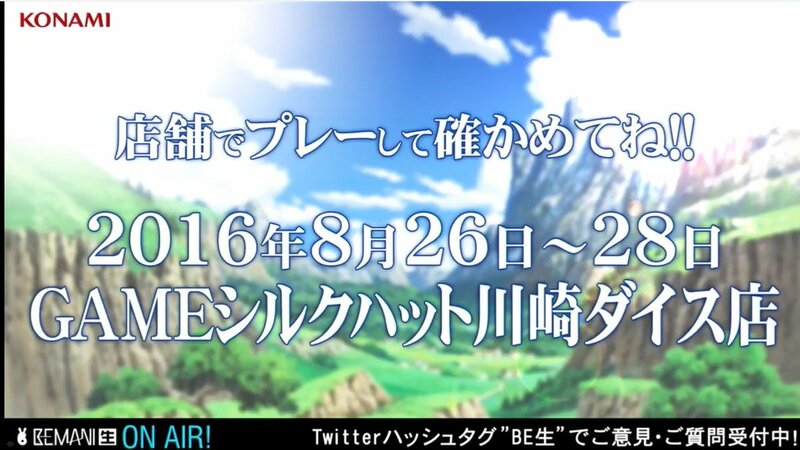 I remember VOLZZA started with a lot of hype, but later this hype begun to decrease when they announced Rebellio. Today the staff release some new song with a bunch of old crossovers (except for the VENUS week) wich is lame at some point. I hope they revert this and they make something similar to groovin and groovin upper in terms of songs. I miss the more glossy and detailed interfaces even though I liked the previous 2 games. Or Uh-Oh having its crossover and us being able to see a new look for the Candy Rave girls! Is it too much to wonder if this game is gonna have a quest/RPG mode, considering the radically different art style that looks like something straight out of a JRPG? I'd be hype, even though I'm sure I wouldn't be able to understand a single bit of the story... even if we ever got a Reflec Beat imported for any Round1 in the US. It's a pretty interesting theme, if nothing else. And Maya art is always welcome. Here's also hoping Des-ROW backs up a bit, or stays only as a producer this time around. I would literally trade every Bemani game currently in a R1 for just one Reflec Beat machine. ..One RB machine at ERM. 勇気のペンダント/ Qrispy Joybox feat. ?? Night Clock / kidlit aka. ?? I'll be updating this post as more info comes in. keiichi is not Nabeshima; it's actually the vocalist of ORIHALCON. Together with 96 they did Destiny Wings in Tri-Boost.